A Sotheby’s staffer in front of portraits of the Mitford sisters from the collection of Deborah Cavendish, Duchess of Devonshire. Photo via Getty. Saying there’s a new book about the Mitford sisters is a bit like sharing the breaking news that the sun rose again. Of course there is a new book out about the six legendary ladies of the Mitford family; they are a well-tapped source of 20th century intrigue, with enough lingering questions about their lives and passions to keep both the long-time fascinated and the newly discovering guessing at just who these women were. But the huge amount of ink already spilled over the Mitfords is what makes Laura Thompson’s new collective biography, The Six: The Lives of the Mitford Sisters, so fascinating. Rather than asking what these women did, Thompson tries to get at why, backtracking through numerous accounts of the women, including those written by the Mitfords themselves, to find what it is that made the Mitfords such lightning rods for their age. Rather than simply cast the Mitford sisters as eccentrics or dismiss their passions as flighty, Thompson frames them as tragic figures who were ultimately undone by their own often conflicting motives. Early on, Thompson suggests that to think of the Mitfords as a “six-pack” is reductive; the sisters were far apart in age and many were at odds for most of their lives. But while Thompson’s argument seems to contradict the very basis of her book—a biography of the sisters as a unit—it does highlight what becomes the central source of tension in Thompson’s version of the narrative. Six sisters, pulled towards and desperately clawing away from one another at the same time, against the backdrop of the chaotic twentieth century. 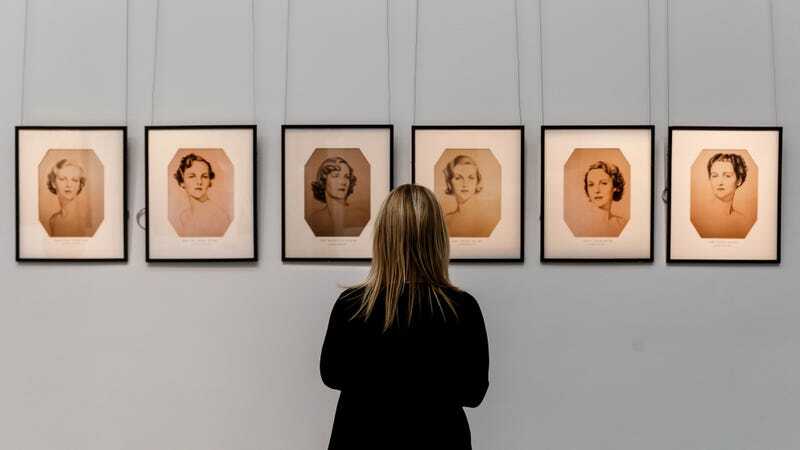 Nancy, Pamela, Diana, Unity, Jessica, and Deborah Mitford were born into the British aristocracy in the early 20th century, and each went on to a fate deeply wrapped up in the zeitgeist of their time. Nancy became an accomplished writer, drawing from her own life and upbringing to write fiction that was at once nostalgic for a lost England and became a stand in myth for her shattered family. Pamela became an incredibly wealthy farmer with two dogs, a love of food, and a roommate named Giuditta with whom she may have had a romantic relationship. Diana was a Fascist, married to Oswald Mosley, the leader of the British Union of Fascists. Unity was a Nazi who spent time with Hitler before the war and suffered brain damage after a suicide attempt—made shortly after the war was declared—left a bullet lodged in the back of her head. Jessica was a Communist who broke with her family and campaigned for civil rights in the United States. Deborah married a younger son who’d become a Duke and established her family’s connection to the modern aristocracy. “English writer The Hon Nancy Mitford (1904 - 1973) and The Hon Peter Rodd (1904 - 1968) after their wedding at St John’s Church, Smith Square, London, 4th December 1933.” Photo via Getty Images. Those facts alone would be enough to make the Mitford sisters a fascinating manifestation of the 20th century’s ideologies and changes, all wrapped up in a nostalgic Downton Abbey-esque allure. But there’s something more to the draw of the Mitfords, a darkness that bypasses eccentricity and a bite beneath their idiosyncratic way of speaking. Exploring the lives of the Mitford sisters, their brother Tom, and their parents David and Sydney, Thompson asks what it was about their times that allowed the Mitfords to exist, what about culture that made them of such lasting interest, and how the Mitfords themselves obscured what we think we know about them. “Their significance has become detached from the realities of their own times, and is now a significance of image,” Thompson writes in the introduction. She then sets out to rectify this. The Six paints a compelling portrait of women who were by turns infuriating, strong, cruel, stubborn, and brilliant. The Mitfords were very much in the public eye, on the tail end of the Bright Young Things (as the 20-something bohemian socialites who were gossip column celebrities of their time have been dubbed) set in between-the-wars London that partied its way through immense social upheaval. They came of age in a time when the aristocracy was still treated like celebrities, hounded by paparazzi and gossip columnists just as today’s stars are. One gets the sense of the Mitfords as a mix between the Crawleys, the Kardashians, and the Kennedys—a family on the cusp of a changing social structure who generate endless public debate in tabloids and are ultimately touched by repeated tragedy. The aforementioned Evelyn Waugh captured the dynamic brilliantly in his novel Vile Bodies, and much like in that story, it was the tumultuous arrival of the mid-1930s and early 1940s that would be the Mitfords’ undoing, claiming the life of the only Mitford son, circuitously causing the death of Unity, and bringing disgrace to the family. Unity, Diana, and Nancy at a wedding, 1932. Photo via Getty Images. “The phenomenon of the Mitford sisters is unrepeatable. The nature of the girls, the nature of the world at that time: such a configuration can never happen again,” Thompson explains. The entire world order was being turned upside down by competing ideologies as the Mitfords were coming of age—Communism, Fascism, Democracy, all clustered together as the Depression fueled a deep sense of discontent. But despite their own lackluster economic outlook (as was the case for many men in his position, the Mitford patriarch Lord Redesdale wasn’t great with money), the girls were born into a world where their titles could still guarantee them certain access and advantages. The era the Mitfords was bookended by the tragedies of the World Wars and took place during a global depression; the twenty years between the First and Second World Wars were, for the Bright Young Things, a Jay Gatsby party on the edge of a volcano. While today we see the array of characters positioning themselves on the map in stark shades of good and evil or know that the period called the Phoney War (after war had been declared with Germany but fighting was yet to begin) was short lived and followed by unfathomable loss, it was uncertainty that reigned in the Mitfords’ England. The sisters were shaped by that culture, one of gossip columns and traditions kept alive despite financial ruin, and it explains a great deal about their seemingly flippant attitudes to the world around them and one another. Part of what makes them such an endless source of interest is that their legacy bridges such seemingly different worlds, as if Lady Mary Crawley embraced Communism while her mother found Hitler charming. Raised in what the author describes as a semi-feral state without formal education and near total freedom, the sisters spent much of their time together as girls, giving rise to alliances and grudges that would shift but never quite disappear throughout their entire lives. Despite their highly public profile, one gets the sense that the Mitfords were ultimately insular, playing to one another rather than the outside world. Thompson finds in Unity’s letters to Diana, a fan of Hitler to a lesser degree, a competitive edge that puts Unity’s fervid Nazism in the context of sibling rivalry as well as ideology—she wasn’t just trying to get an in with the Fuhrer, she was trying to one-up her older sister. Unity and Diana, 1935. Photo via Getty Images. That’s not to say that the fervent dedication to ideology that defined the 1930s and 1940s for the Mitfords was in any way disingenuous. Thompson does a great job of evoking the era itself, with vast uncertainty that led to the rise of dictators, and delineating what we know now from what the Mitfords would have known in the early 1930s. She isn’t apologizing for their warm relations with Hitler, but instead contextualizing the Mitford’s draw to extremism in a way that makes the allure of Fascism seem relevant given the demagogues of our own time. She also suggests that for the Mitfords, men were a means through which they could achieve their own aims, such as Diana’s first marriage to an aristocrat who got her out of her parents’ home or Nancy’s ill-fated love interests that fed her fiction. In Unity, Thompson posits that a Mitfordian draw to strong men took a sharp turn, tapping into something dark within the otherwise seemingly light young woman. Thompson’s book excels at holding all the complexity of the Mitford sisters at once, and that ability shines when she talks about the Nazism, Fascism, and Communism that drove half of the Mitfords to their fates while pushing the other half away. While Unity’s devotion to the Nazi cause is perhaps the most attention grabbing and upsetting, Jessica’s fierce Communism would become the guiding force in her life, establishing principles that kept her at arm’s length from most of her sisters for the rest of her life. Diana, who had been the belle of the family, drew much public ire for her unwillingness to disavow Fascism during or after the war, but ultimately lived in comfort due to the privilege of her and her husband’s social standing. Jessica Mitford in 1940 with husband Esmond Romilly in the bar of the Roma Restaurant in Biscayne Bay, Miami, which they opened after eloping. Photo via Getty Images. Thompson’s take on what appealed to the Mitfords about the ideologies of their day is as much about the men they loved as the values they held. And, even though it’s clear the sisters had a sense of performative competition with one another, Thompson makes clear that when all was said and done, the Mitfords were unapologetically devoted to their political allegiances, making them less flighty and charming than resolute and troubling. Deborah Cavendish, Duchess of Devonshire, 1980. Photo via Getty. That sense of competition feeds into the largest mystery about the Mitfords: Who were they? Above all individual characteristics, the sisters were prolific writers, of letters, books, and articles. In those writings, they gossip about one another, recount variations on their own family history, dig the knife into one another’s beliefs and actions, and ultimately creating competing narratives about their own motivations, experiences, and relationships. Deborah and Nancy were the most prolific, with the former publishing memoirs that tapped into the public’s general interest in the Mitfords but added little to family lore. Her 2011 memoir, Wait For Me!, was what one would expect from a late-in-life memoir by a duchess. But Nancy, who wrote for most of her life and eventually became an acclaimed author, fictionalized her family numerous times. Her writing and Jessica’s controversial autobiography Hons and Rebels are the primary narratives Thompson turns to, picking at Jessica’s harsh and angry account of her childhood while peeling back the gilded edge Nancy puts on her family. While Nancy’s novels are romantic and feature muted takes on her shocking family, Jessica plays into the worst interpretations of the Mitfords, recounting the misery she felt as not being able to get an education and the stymying effect the famous family had on her happiness until she ran away from them. Thompson cross-references and stays skeptical of all Mitford stories, comparing accounts of their childhoods to try to nail down a realistic assessment of their mother—Sydney was cold to some and maternal to others, giving rise to grievances that weren’t shared equally among the sisters. Their collective memory of Tom is an example; their charismatic and agreeable brother could win anyone’s affection, and so each sought to make him sound like one of their allies in the wars of words and ideologies they fought amongst themselves. Meanwhile, even their closest friends couldn’t always see through the blurring veil of beauty, idiosyncratic eccentricity, and charm that let the Mitford sisters remain a mystery even as someone thought they knew them so well. Jessica Mitford, 1963. Photo via Getty Images. But this isn’t the romantic Mitfords we’ve come to think of as legends. These women, susceptible to the darkest political impulses of their time and prone to cruelty among themselves, don’t sound charmingly innocent or easy to love, and they aren’t the same people we ultimately talk about when we wax poetic about those beautiful, mad Mitfords. That narrative came later, with Nancy’s novels The Pursuit of Love and Love in a Cold Climate. Thompson draws parallels to the first throughout The Six, showing the places where reality was reshaped by Nancy’s reimagining of her own family’s history. Bridey Heing is a freelancer writer based in Washington, DC. More of her work can be found here.